I found your listing on AgentMarketing. Please send me more information about 17-502 Ipuaiwaha Street in Keaau as soon as possible. 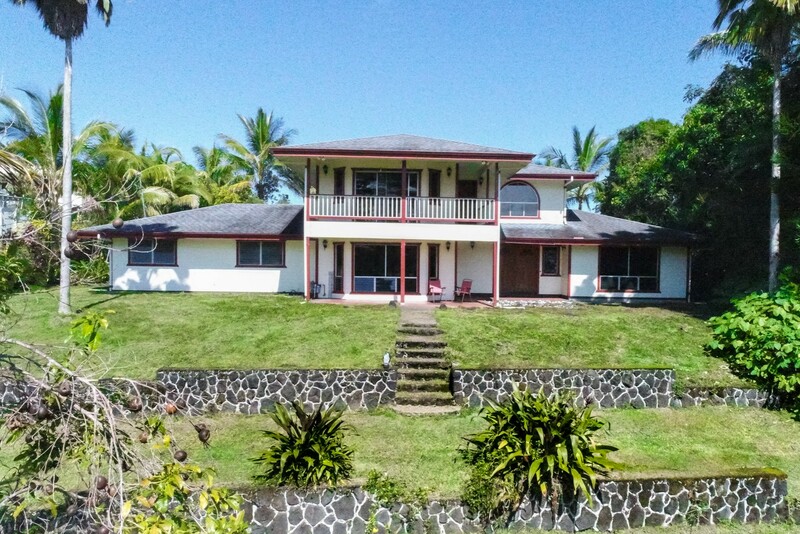 So much value in this 3,000+ square foot home in desirable Keaau, convenient to town, with one-acre ag lots, wide paved roads, and county water! Tiled floors downstairs and new bamboo floors upstairs. The staircase with all wood spindles, handrails, treads, and walls creates an elegant passage to the upper level. A large back deck leads into the kitchen and laundry. The dining room is just off the kitchen, which is light and bright with plenty of storage. Four bedrooms downstairs and three upstairs, including a master with en-suite bath and private covered deck. The many windows provide lovely views of the grassy lawn with lava rock terraces. Sellers have made many recent improvements, including: painting of interior in 2016, installation of new gutters, refurbishment of all decks, leveling of front yard, removal of many trees, installation of new greenhouse and fence along the south boundary, graveling of driveway, and location/pumping/capping of cesspool.